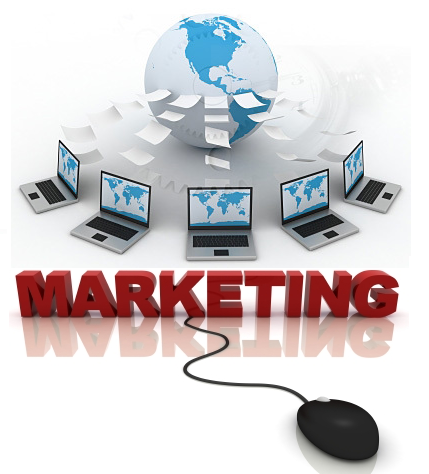 Are you afraid of wasting money on Internet marketing/online advertising? The idea of paying per click for visitors who may not buy could be frightening to you. A lot of website owners believe that Internet marketing campaigns will bleed a lot of money before they become worthwhile. You don’t have to fail miserably to figure out how to succeed. You can learn from the experts who’ve made mistakes and developed winning formulas for internet marketing. Even if you’ve only got a small marketing budget, it could make a big difference. Here are some low cost / big impact tips from a business consultant who helps small to medium-sized UK businesses. Do you have a website? What is it currently doing for you? A website should be more than an online brochure. It should be a beacon that attracts traffic. But it shouldn’t end there. Once the traffic arrives on your website, you need to convert it or, at the very least, capture contact info and permission to contact in the future. Creating a well-designed and optimized website can attract the right sort of online traffic, and it can help you begin to develop relationships with that traffic. If your current website isn’t doing much for you, it’s time to find out why and find out what you could do differently. The ROI of this investment could be huge. A strategic business blog allows you to interact with customers, to feed search engines information that helps you get ranked for the right keyword searches, and it will help you establish yourself as an authority in your market. Many website owners make the mistake of leaving their website static and this doesn’t keep you on the radar of Google, Bing, and Yahoo. A business blog is a low-cost method that will help you continually add keyword rich information to your site while building strong relationships with readers. Social updates could help you gain online popularity and gain more visibility. Free social media sites allow you to build relationships with customers and prospects. On Twitter and Facebook, once people are following you, they’ll continually see your updates and when they interact with you their followers could see those updates. Analytics reporting will tell you how your online marketing efforts are working out for you and you’ll see whether or not your marketing funds are well spent. By reviewing analytics, you’ll be able to tell how much traffic you’re getting and how they’re getting to your site. You’ll be able to use this information to your advantage and once you’ve started investing in internet marketing methods you’ll see where you’ve been getting return on your investment and see opportunities for future growth. Internet advertising and search engine optimisation along with good online properties that demonstrate your professionalism can all add up to profit and increased market share in your business. Don’t be afraid to invest in your success. About the author: Sharon Hurley Hall writes for Jenkinson & Associates, run by Chris Jenkinson, a successful UK business consultant who helps small and medium businesses reach their goals. I like your tip about leverage social media. If you don’t have a budget for Internet marketing then maybe you could use social media instead to boost your popularity. Great idea!